The recent issue of the european journal of turkish studies contains an article on "The Governance of Islam in Two Secular Polities: Turkey’s Diyanet and Indonesia’s Ministry of Religious Affairs" by Martin van Bruinessen which might be of interest to scholars of the KFG. The Leipzig based e-journal Connections recently published a Special Issue of the Leibniz ScienceCampus “Eastern Europe – Global Area” (EEGA) on ”Understanding and Explaining Islamophobia in Eastern Europe”. 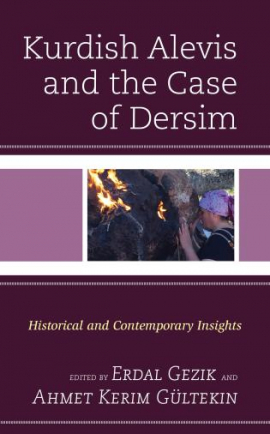 The articles will be published consecutively in the following weeks and offer theoretical, cross-national and comparative perspectives as well as case-specific views. The Equality Office of Leipzig University organises a documentary movie series about racism and discrimination based on ethnic-religious attributes in cooperation with DOK Leipzig. On 29 January they show Burka Songs 2.0 (Sweden 2017, trailer) and Black Sheep (Great Britain 2015, trailer) at 5 p.m. in Lecture Hall 8 (Campus Augustusplatz). Both movies are in English. 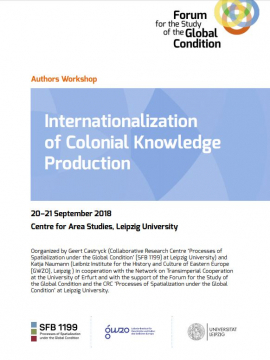 The workshop ‘Internationalization of Colonial Knowledge Production’, held at Leipzig University (20-21 September 2018), dealt with three key processes of the 19th and 20th century: internationalization, knowledge production and colonialism. The aim was to bring together current trends in historiography, addressing the transnational workings of knowledge production, with a focus on the production of colonial knowledge / the colonial production of knowledge.